Rockin Dave 1 May 2016, R.I.P. Rockin Dave passed away on 1 May 2016 after a period of illness. He was an extraordinary character and musically very talented, with his own special sense of twisted humour, and will be sorely missed. He also completed his memoirs over the past few years, and the book, which presents somewhat controversial and challenging views to many, has been published - check out links to the book HERE. Rockin Dave was cremated and his ashes rest in the Mt. Pinatubo volcano crater lake, Luzon Island, Philippines, scattered there on a flypass from a light aircraft, as it was always his wish to make a skydive into the lake. St. George Day at Midnight Rock! Next Wednesday 23rd April, we will be celebrating St. Georges day at Midnight Rock. The staunch supporters from Subic will also be there, and it promises to be an entertaining evening. If you're English come and join us, and if you're not, - come and see what all the fuss is about! Live Rock & Roll, Fun & Frolics! Wednesday April 23rd at 6pm onwards, will once again see Midnight Rock Bar swamped with revellers from all over the Philippines for the annual St. George's day celebration. Another Rockin Dave & Lucky Luciano Show This Thursday! I am pleased to announce that there will be ONLY one more show with Rockin Dave & Lucky Luciano on stage at Midnight Rock This Thursday February 20th! Rockin Dave & Lucky Luciano on stage this Thursday at Midnight Rock! Rockin Dave's Double Bass player from Italy, the amazing Lucky Luciano will be on stage with Rockin Dave this Thursday February 13th, at 8pm (ish). Don't miss this very special night!!! This Thursday at 8pm (ish), Rockin Dave will be performing at Midnight Rock in celebration of this memorable day,-4th of July. How can we ever forget that it was on the 4th of July that the great composer Stephen Foster was born in 1826. Foster was famous for composing more than 200 songs including the great 'Swannee River' of which Rockin Dave recorded a version of in 1993 on his CD 'Boogie in the City'. Foster, known as the "father of American music", also wrote "Oh! Susanna", "Camptown Races", "My Old Kentucky Home", "Jeanie with the Light Brown Hair", "Old Black Joe", and "Beautiful Dreamer"
Rockin Dave will play his version of 'Swannee River' on Thursday in celebration of this great day. So, It's time to put on your Blue Suede Shoes and Rock Around the Clock... Jump, Jive and Wail away your Honky Tonk Train Blues with Rockin Dave - the hottest name around in Rock*n*Roll, Rhythm*n*Blues and Boogie Woogie! On May 30th 1984, Rockin Dave, in addition to performing his own concerts, began touring with Screaming Lord Sutch. An association that would last until Lord Sutch’s Death in 1999. Also on May 30th, a solar eclipse occurred, although I’m not sure what the connection there is. Rockin Dave will be performing at Midnight Rock Bar this Thursday May 30th at 8pm (ish). Screamin' Lord Sutch wrote the liner notes to one of my CDs: "Still Rockin in the Same Ol' Way". working men's clubs and festivals in England and Europe. I remember Dave caught my attention as a talented young pianist/singer who, like myself, added some gimmicks to his stage appearances. He didn't just 'tinkle on the ivories', he hammered the keys to death, played the piano with his feet, chopped it to pieces and even set fire to it on stage. And they call me a Raving Loony! In April 1985 I was the compere of the famous Piano Battle staged in Weymouth between Dave and Freddie 'Fingers' Lee, (which Dave won - I might add!) I will never forget this match - the audience took away any tiny pieces left over from the pianos! Throughout the 80s and 90s, I have quite often appeared on the same bill with Dave, even playing together in Helsinki, where I was taken over by Dave to perform at Kaivopuisto, a massive outside musical extravaganza. Over the past four decades, I have worked with some of the best in the business - Eric Clapton, Charlie Watts, Jeff Beck. Dave, in my opinion, as a musician and showman, falls in the same category with these top guys." There are still a few Billion people around the world who have not experienced Rockin Dave's Show at Midnight Rock. On June 14 1953 - Elvis Presley graduated from LC Humes High School in Memphis Tennessee. Whilst, on June 14 1989 - Ronald Reagan was knighted by Queen Elizabeth II. However, on June 14 2012 Rockin Dave will be performing at Midnight Rock, Angeles City, Philippines, at 8pm (ish). Rockin Dave Show Tonight at Midnight Rock!!! Rockin Dave will be Rockin' Midnight Rock tonight at 8pm (ish). Come early to get a seat! In the Rock n Roll venue on Don Juice Street, Angeles City, the English flag will be raised ahead of live music by Rockin Dave on Friday night. They threw 35 buckets of balls for the girls at Midnight Rock. THURSDAY NIGHTS BARBECUE AND ROCK & ROLL AT MIDNIGHT ROCK! Now you can enjoy a Burger 'n' Chips, Hot Dog, Fried Chicken or Steak all grilled to your liking. All this in addition to Rockin Dave pounding out some good ol' Rock & Roll! Only on Thursday nights at Midnight Rock from 8pm 'til late. Rockin Dave entertains ecstatic audiences worldwide and has not been named the "Acrobat Pianist" without good reason! Watch this rare video from 1980 filmed in 1980 at the Tavastia Club in Helsinki. Rockin Dave to perform despite 'End of the world'! Rockin Dave's highly acclaimed Thursday night Rock 'n' Roll show will go ahead as planned even if the world comes to an end on May 21st 2011, as predicted by Harold Camping. Rockin Dave stated:" Rock 'n' Roll isn't just a matter of life and death, it's more important than that". He added:, "If the world does come to an end on the 21st of May, the Rock 'n' Roll show will still go ahead as planned at 8 pm 'ish' on Thursday night at Midnight Rock Music Lounge, Clarkview, Angeles City, Philippines". Remember: - IF YOU AIN'T ROCKIN' BY MIDNIGHT, - YOU JUST AIN'T ROCKIN'! will now be available for download individually. Woodside ~ All By Myself ~ Big & Bouncy ~ Won't You ~ Jivin' With Elise. Taylor and Scandinavia and a celebration of the Nordic Countries. memories and thoughts of a time spent in Finland. Piano virtuoso Rockin Dave has been signed by the legendary record company MGM-PYE-PATHE. Rockin Dave joins a host of stars such as: Frank Sinatra, Status Quo, The Eagles, Otis Redding and James Brown, to name but a few. Rockin Dave & Lucky Rock MIDNIGHT ROCK!!! A great time was had by all... not least by the girls on stage who got into the act! Remember - Rockin Dave is at Midnight Rock every Thursday nite at 8pm..ish!!! IF YOU AIN'T ROCKIN' BY MIDNIGHT - YOU JUST AIN'T ROCKIN'!!!!! For this month’s feature bar, we’re selecting Midnight Rock up on Perimeter Road. With live music, cheaper drinks and friendly girls, it’s a win-win situation for any barhop. Thursday nights at Midnight Rock are hugely popular with Rockin Dave getting wilder & wilder on that rockin' Piano!! This amazing Great British Rock*n*Roller, Boogie Woogie Pianist/Singer creates an electric atmosphere everywhere he performs, from Hong Kong to Russia, from Finland to the Philippines. He entertains ecstatic audiences worldwide. The stage show consists of Jump Jive, Rhythm*n*Blues, & 1950's Rock*n*Roll, including some of Rockin Dave's self-penned material. It's time to put on your Blue Suede Shoes and Rock Around the Clock... Jump, Jive and Wail away your Honky Tonk Train Blues with Rockin Dave - the hottest name around in Rock*n*Roll, Rhythm*n*Blues and Boogie Woogie! April 23rd at 6pm saw 'Midnight Rock Bar' swamped with revellers from all over the Philippines for the St. George's day celebration. In the Rock n Roll venue on Don Juice Street, Angeles City, the English flag was raised ahead of live music by Rockin Dave on Friday night. Steve Hicky brought up a bus loaded with party goers from Subic to join in the celebration and a good night was had by all. A pub Crawl began at the Brass Knob and ended at Midnight Rock for some good ol' Rock N Roll!! Special Guest at Midnight Rock! Just to let you know that this Thursday at Midnight Rock Bar, there will be a very special guest on stage with Rockin Dave. Flying in all the way from Italy is 'Lucky' the bass player in my Band, and who has worked with me since 1995. Don't miss this one time event! Hope to see you there- Midnight Rock Bar, Don Juico (in between Phoenix Hotel and Bretto's), Angeles City. Thursday Nights at Midnight Rock Music Lounge are proving immensely successful. Rock 'n' Roll Night at Midnight Rock Angeles City on 10 December 2009!! Check out Rockin Dave live at: MIDNIGHT ROCK MUSIC LOUNGE, DON JUICO, CLARK VIEW, ANGELES CITY, PHILIPPINES. to be the show put on by the man himself - Rocking Dave. every hour on the hour for fifteen minutes or so because he is the main attraction. even the Mrs just to see the antics of Dave on stage. Rockin Dave - Boogie Woogie! Rockin Dave on A Finnish TV show singing his own composition-"Boogie Woogie". Rockin Dave In Angeles City, Phlippines 1987! Watch Rockin Dave In Angeles City, Philippines in 1987- before Pinatubo erupted! Rockin Dave explores the Mount Pinatubo Volcano!! Mount Pinatubo is an active stratovolcano located on the island of Luzon, at the intersection of the borders of the Philippine provinces of Zambales, Tarlac, and Pampanga. The Volcano's cataclysmic eruption in June 1991 produced the second largest terrestrial eruption of the 20th century and the largest eruption in living memory. The colossal 1991 eruption had a Volcanic Explosivity Index (VEI) of 6. Surrounding areas were severely damaged by pyroclastic flows, ash deposits, and later by lahars caused by rainwater remobilizing earlier volcanic deposits. Thousands of houses and other buildings were totally destroyed. The effects of the eruption were felt worldwide. It ejected roughly 10 billion metric tonnes of magma, and 20 million tons of Sulphur Dioxide, spewing vast quantities of minerals and metals to the surface environment. It injected large amounts of aerosols into the stratosphere-more than any eruption since that of Krakatoa in 1883. Over the following months, the aerosols formed a global layer of sulphuric acid haze. Global temperatures dropped by 0.5 °C, and ozone depletion temporarily increased substantially. The birth of modern Pinatubo occurred in the most explosive eruption in its history, which deposited pyroclastic flow material up to 100 meters thick on all sides of the mountain. The total volume of material erupted may have been up to 25 cubic kilometres, and the removal of this amount of material from the underlying magma chamber led to the formation of a large caldera. This was also the largest earthquake recorded, comparable in size to the 1906 San Francisco earthquake and the 2008 Sichuan earthquake. The ash cloud from the volcano covered an area of some 125,000 km², and could easily be seen from space, bringing total darkness to much of central Luzon. In total, 364 communities and 2.1 million people were affected by the eruption, with livelihoods and houses being damaged or destroyed. More than 8,000 houses were completely destroyed, and a further 73,000 were damaged. Up to 900 people were killed and 100,000 became homeless following the Mount Pinatubo eruption. In addition to the severe damage sustained by these communities, roads and communications were damaged or destroyed by pyroclastic flows and lahars throughout the areas surrounding the volcano. The arduous journey would take us through raging rivers and across extremely rough terrain. Well, the pick up was arranged for 6 a.m. at Margarita Station, Angeles City, So I set my alarm for 5 a.m. and consequently woke up at 3 a.m! Full of anticipation, I made my way to Margarita and had several beers which I would suggest is not the most efficient way to prepare for a trek up Mt. Pinatubo. The driver, June arrived promptly at 6 a.m. and we set off in the 4x4 jeep. We were accompanied on the trip by 4 Koreans who never spoke a word throughout the journey and, as my Korean is less than atrocious, the trip to Pinatubo was very quiet. The journey to St.Juliana, the so called ‘base camp’ was uneventful and took around 1 hour. There we registered and paid the additional 350 PHP for the privilege of hiring a boat to sail on lake Pinatubo, (which turned out to be a total waste of time as when I arrived at the crater there was no boat to be found). They did issue a refund however on our return. I digress, and why not? It’s a free country. At this point, we were joined by the Mountain guide, - Didoy and, after registration, we set off again across the rugged terrain towards the base of Mt. Pinatubo where we immediately became stranded in a raging river. Luckily, we flagged down a passing jeep (as you do), who towed us out of the river. Following a further 20 minutes or so of bouncing across the rough landscape, we arrived at a clearing where we could drive no further. The rest of the climb would be on foot. The trek started off relatively easy, but soon escalated into a full on intense climb over rocks and across rivers. Didoy ran on ahead like he was a school boy on a Sunday picnic flying up the Mountain as if he did that everyday, which in fact he did, leaving the rest of us to find the way to the summit on our own. This wasn't as difficult as it sounds though, as the only two choices were over stepping stones up the river, or into the dark, dense jungle which was probably full of snakes and other creepy crawlies. I opted for the stepping stones. As I was in front, spurred on by the San Miguel, the Koreans followed me as if I knew where I was going. I think that the camouflage jungle hat that I was wearing gave them the false notion that I was some kind of Indiana Jones. The trip towards the crater was gruelling and hot, but the scenery was spectacular and almost made me forget the aches and pains in my lower extremities. After some 60 minutes of exertion, (the likes of which I hadn't experienced for a good few years), we were met by the awe inspiring view of Lake Pinatubo. The Koreans behind me clapped and cheered at the sight. (Although I personally think that they were just relieved that we had been going the right way). After eruptions had ended, a crater lake, Lake Pinatubo, formed in the 1991 caldera, with the 1992 lava dome forming an island. At first, the lake was small, hot and highly acidic, with a minimum pH of 2 and a temperature of about 40 °C. But that wasn’t going to worry us. We were made of sterner stuff. We sat down for a rest, with Didoy the guide, looking on in bemusement. There then followed a steep climb down to the turquoise blue water of Lake Pinatubo. The Lake was tranquil and serene and we were sticky and sweaty as we jumped into the welcoming water and spent the next half hour languishing in the cool lake. I briefly pondered upon what would happen if this sleeping giant chose this point in time to erupt again and wondered if there would be a refund. I decided to get dressed just in case. After sandwiches and a couple of beers which I had hauled diligently all the way from the sari-sari store, I headed back up to the crater rim. One last look at Lake Pinatubo and then it was time for the relatively easier climb down back to civilisation. On the way down, assisted greatly by gravity, one of the stepping stones which turned out not to be a stepping stone, but instead, a large leaf, gave way under my feet and plunged me into the river. Unperturbed by my drenching, I jumped up quickly and attempted to look nonchalant which wasn’t easy with my jungle hat dripping water and coconut leaves hanging from my shorts. I continued down the mountain to the waiting jeeps. At this point, the Koreans went in one jeep back to St.Juliana and I went in another direction with Didoy and June in search of the hot springs of Pinatubo. Was it something I had said I wondered, or were they just hungry for the lunch that was awaiting them? I presumed the latter and continued across the moonlike landscape towards the Spas, through an unreal and nebulous landscape, arriving at a picturesque expanse complete with palm trees and water falls. These were the thermal springs of Mt. Pinatubo, which cascade straight from the Volcano itself and where temperatures range from a mild 40 degrees Centigrade to a Sauna-like, skin blistering 70 degrees Centigrade ! Spectacular views, towering lahar canyons, therapeutic hot and cool springs together with cascading waterfalls. All that was missing was a bar! Not being one to take the easy option, I jumped into the 70 degree Spa, and jumped out twice as fast! After a few tentative attempts, I eventually became relatively accustomed to the blazing temperature and basked there for 15 minutes or so pleasantly wallowing in the Sulphurous liquid. I felt like a broiled chicken, but as there was no restaurant there, I settled for a cold beer. I was told by Didoy that the Spa had almost magical powers of healing, and right now I could do with all the magical powers of healing that I could find. Didoy and June were desperately trying to hide their laughing, as I emerged from the hot Spa resembling an over cooked lobster! I cooled myself down in the tepid second and third Spas before returning to the jeep and making our way back to St.Juliana. Back over the plains of Pinatubo we were greeted by the friendly Aetas, an indigenous group of people who live on the slopes of Mt. Pinatubo. They waved and smiled but looked somewhat bemused as we passed by. In the St.Juliana restaurant, the Koreans were already into their third course as we trundled in and sat down at the table. The meal was included in the price, which unfortunately for me consisted of Adobo, Pansit and other Pinoy delicacies. I was looking for a burger and chips. Not to worry though, the Koreans enjoyed it and the sari-sari store was still open and selling beer. We drove back to Angeles City where June dropped off the Koreans at their hotel and dropped me off at Margarita Station for a few more beers to celebrate my achievement. After all, it was only 2.30 in the afternoon and far too early to go home. The total cost of the trip was just 3,500 PHP which was in my estimation, very reasonable and money well spent. After a relaxing massage, it was time for a spot of bar hopping down Fields Avenue but could anything else really compare to trekking up the slopes of Mount Pinatubo and swimming in the Crater of Lake Pinatubo??? Rockin Dave has recorded a video with the Italian virtuoso JustCarmen. Hear and see them both perform Sha-Na-Na's classic 'Those Magic Changes'. Recorded in Finland, England and Italy. -And edited in Spain! ROCKIN DAVE IN BOOGIE WORLD!! Rockin Dave Taylor : BoogieWorld! Venerdi, presso il Circolo For Sale di Piacenza, ci sarà una grande Serata per gli appassionati di Boogie Woogie e Rock 'n Roll. E', infatti, previsto un concerto con il pianista britannico Rockin Dave Taylor, tre-musicisti-tre dei "malfamati" :-) Good Fellas e i Boppin' Shoes. Dei Boppin' Shoes abbiamo parlato in occasione del loro concerto tenuto al Dancing Vallechiara di Cusano Milano, durante il quale abbiamo anche scattato qualche (brutta) foto. Sono una certezza e sapranno sicuramente entusiasmare il pubblico. Rock & roll, boogie-woogie, ballads, swing and good original jive, difficult to find nowadays, performed by one of the most charismatic British musicians of that genre. 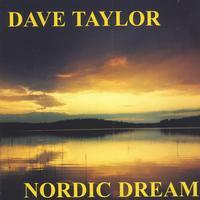 Dave Taylor is a good singer and a genuine piano player, who represents the classic fifties style, with more than thirty years of experience and a good number of records behind him. The CD includes twenty tracks where you will find own compositions together with, among others, Moon Mullican’s, Bobby Boulter’s or Lou Willie’s ones. Songs belong to different moments of Taylor’s life, from “Schooldays” –recorded in 1975- to the recent ones that come from 1999, all them performed on a convincing determined way thanks to the good work of a bunch of professional musicians who know what they are doing and how to get it. Dave Taylor is backed by a horn section including tenor, alto and baritone sax, trumpet and trombone, plus guitar, pedal steel, string arrangements, acoustic bass, drums and different instruments in some tracks such as flute, violin, viola, cello, accordion… and so on. A CD that should be taken into account. GREAT. Review by Andy Smart, Nottingham Evening Post. from local boy Rockin' Dave Taylor is a joy. Beeston-born Taylor, a one-time Raleigh apprentice, has been banging out rock and boogie woogie albums for more than three decades, as well as performing all over the world. This latest offering on his own Midnight Rock label features self-penned numbers and classics like Blueberry Hill, Choo Choo Ch Boogie and Giddy-up-a-ding-dong, all given Taylor's distinctive honky-tonk piano treatment. Stand-outs include Dave's arrangement of Count Basie's Jumpin' at the Woodside, the Fleecie Moore rocker Caldonia, and an upbeat treatment of Mona Lisa, another oft-recorded song which gave Nat King Cole, Conway Twitty and and Notts singer Shane Fenton (aka Alvin Stardust) varying degrees of success. Out now! Buy it now! Rockin Dave Taylor is preparing for a long-awaited tour of Brazil starting at Christmas 2008. The last time Rockin Dave was there was in 2002. See Rockin Dave live on stage in Rio de Janeiro's Gaslight club and Sao Paulo's Rockin' Gene club! Rockin Dave has purchased 'Coyote Ugly' in Fields Avenue, Angeles City. The bar was renamed Midnight Rock (which is the name of Rockin Dave's businesses back in England). Rockin Dave will be playing Rock & Roll music 7 nights a week Plus he will be performing 'Live' Every Saturday night. 18 friendly Waitresses will take care of you. Rockin Dave, Elvis, Frank Sinatra and Bing Crosby together on 1 CD! That's the good news!! 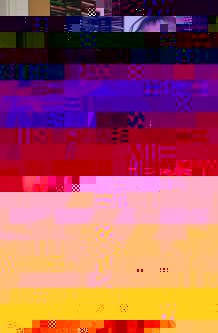 - The bad news is that it's an ILLEGAL compilation put together by an ILLEGAL download site! Unfortunately, unscrupulous people are stealing money from artistes and publishers alike by releasing illegal compilations like this. You can purchase LEGAL versions of these tracks for around £0.79 or $0.88!! Is it really worth stealing tracks from artistes who have put time, money, talent and experience into their music? Rockin Dave gets together with Dana Gillespie, Eva Cassidy, Jose Feliciano and Mitch Woods & His Rocket 88's on the new Latin CD release "Bon Chiki Bon" which features Rockin Dave Taylor's ALL SHE WANTS TO DO IS ROCK! This top selling record company located in Germany has released Dave's version of the Wynonie Harris classic as a special release for sports and dancing-schools and –studios / clubs. 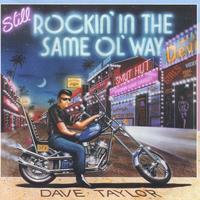 Rockin Dave Taylor has taken over the Dirty Duck's Rock & Roll and Blues Bar in Fields Avenue, Angeles City, Philippines and is now running the bar full time. Rockin Dave Taylor will be appearing live at the Dirty Duck's on a regular basis, drop in and see Rockin Dave on stage together with more than 50 stunning girls!! Rockin Dave and Dirty Duck's look forward to welcoming you to the premier rock & roll joint in Angeles City, Philippines! Rockin Dave Taylor's 'This Is Boogie Woogie' hits 10,000 Downloads!! Rockin Dave Rocks the Philippines!! Angeles City, Philippines on Saturday 27th September. Rockin Dave - the hottest name around in Rock*n*Roll, Rhythm*n*Blues and Boogie Woogie! is a journey through time and space. The time, 1957 onwards - the space, the planet Earth. The journey is a supersonic trip of Music that transverses styles and places through which Dave Taylor travels with his Piano, along the Milky Way. To hear the Music is to catch a flying star and slide down the rainbow to the pot of gold – it is all within your grasp if you only follow your instincts. The Music is ageless, timeless, spaceless. Feel the golden glow of harmony spiralling through the ages. Take a rocket to the moon or join a band of rockin’ rollin’ spacemen from Mars. The Music knows no form, no rules, no boundaries. The universe will not wait any longer. Your imagination is eager to be your chauffeur, your Cadillac is on the runway to the speed of sound, and beyond… Blast-off! Rockin Dave is busier than ever. As well as playing regular shows up and down the Spanish Costas and attending radio interviews, and has just returned from touring clubs up and down Italy with his show band, the GoodFellas. The end of 2008 will find Rockin Dave performing at a private party in Pakistan! Talks are on going with the US military who want to bring Rockin Dave to Iraq for some shows. Rockin Dave is also in negotiations with the organisers of a major outdoor festival in the Ukraine for a live show at the end of 2008. Rockin Dave's CD 'This is Boogie Woogie' continues to outsell all his other releases, with more than 10,000 downloads alone of this album to date. For the past year or so, Rockin Dave has been writing his autobiography, which promises to be a revealing and fascinating insight into the complex world of a Rock & Roll musician, his trials and tribulations, and a captivating read! Rockin Dave has also been invited to join his friend and lawyer, Giovanni Di Stefano, as the Campaigns Officer for Giovanni’s political arm, the Radical Party http://www.theradicalparty.co.uk – well, whoever heard of anything so controversial as mixing Rock & Roll and politics together?! Another recording is also planned, this time to be recorded in Rome. In June 2008, Rockin Dave will tour the Far East - the last time was in 1987! Rockin Dave Rocks The Costas!! 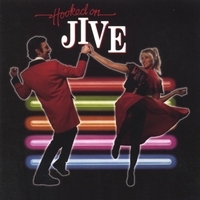 This well-known artist has created a unique blend of Big Band Rock n Roll, Rhythm n Blues and Jump Jive rolled into one. With 30 years as a musician Dave started in the UK by playing in rock n roll bands at an early age, whilst studying classical music for 6 years. Although still young he was performing with many stars such as Bill Haley, BB King, Chuck Berry, and Shakin' Stevens, Marty Wilde, The Batchelors, PJ Proby, Jess Conrad, and even Jasper Carrott! Tours of Europe, 5 years in Scandinavia -where he is still a huge hit- and appearances on UK TV and radio followed- The Kenny Everett Show, Pebblemill at One, Old Grey Whistle test and more. Dave went on more tours in Russia, Hong Kong, The Phillipines, Europe and the USA over the years, and recorded many of his own songs. Dave performed at the launching of Austin Powers' The Spy Who Shagged Me' at the Cannes Film Festival in May 1999, in front of VIP guests including a host of Hollywood stars and producers; Steven Spielberg, Sean Connery, Val Kilmer, Charles Bronson and Sir Richard Branson among others. He has recorded many CDs over the years too, and continues to produce new ones. "To this day, there are still stories told about Dave's performances - playing the piano upside down or performing unnerving acrobatics during his stage shows; his unique entrance to the venue by parachute and his inimitable Boogie Woogie playing technique - yet, never compromising the quality of the music." It's time to put on your Blue Suede Shoes and Rock Around the Clock... Jump, Jive and Wail away your Honky Tonk Train Blues with Rockin' Dave Taylor - the hottest name around in Rock n Roll, Rhythm n Blues and Boogie Woogie! Book him for your venue now! !